I’m a recovering single malt snob. Like many novice scotch drinkers, I bought hard into the marketing that single malts were the superior whiskies. After decades of dominating the top shelf, this is true often enough. 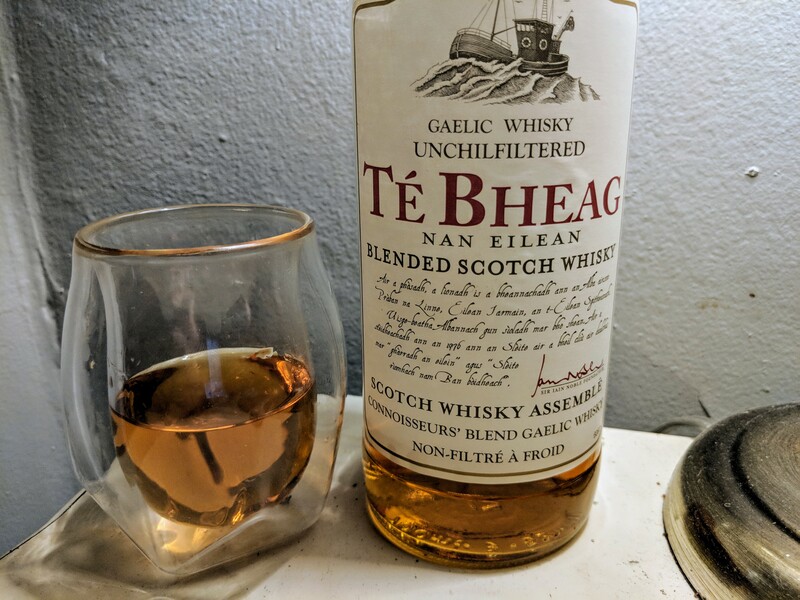 But turning your nose up at affordable blends means you’re bound to miss some great scotches, and none provide a better example of this than Té Bheag Nan Eilean Blended Scotch Whisky. When I got back from Japan last year, I was absolutely high on highballs. The simple combination of club soda and whisky was a delicious way to enjoy the flavour of scotch in a cool and refreshing beverage. But I am loath to dilute a good whisky normally, which means I was on the hunt for a bottle that was affordable, decent on its own, and had an intensity of flavour to stand up even when combined with sparkling water. I found Té Bheag, and it was well suited to the task. 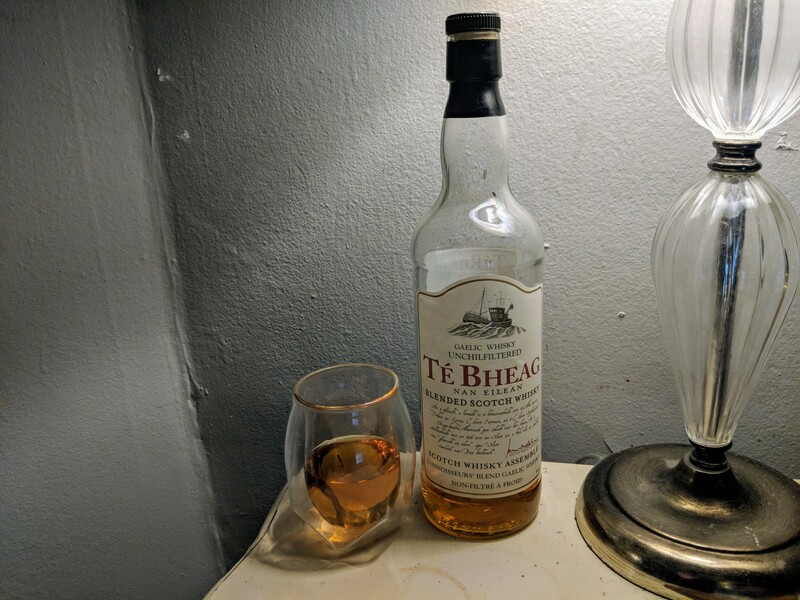 While the majority of my drinking of Té Bheag was done in highball form, I nonetheless took time to enjoy it neat and give it a proper review. It’s undoubtedly its strength straight-up that makes it so good as a simple cocktail. This scotch pours a rich gold colour and looks great in a glass. On the nose, Té Bheag has a whiff of sea brine, a punch of peat, and an underlying sweetness. There’s also a bit of breadiness I quite liked. After a taste, the Té Bheag reveals a few shortcoming, but they’re relatively minor. There’s a hit of iodine and peat right off the bat — perhaps a little too aggressive. But after a second, a lovely caramel enters the fray, and brings with it some wood and even a touch of citrus. I would say the Té Bheag is surprisingly complex — just not terribly well balanced. The finish is a little spicy, fading into brine and peat. Part of the reason it goes so well with club soda is perhaps just how hot to trot Té Bheag is out of the gate. The water dilutes it a bit, without completely washing away the character. It’s definitely enjoyable straight up, but in a highball it’s undoubtedly delicious (especially at its price point) and worth sipping slow.